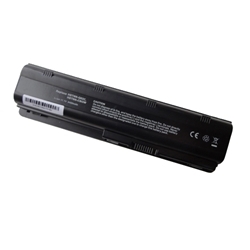 Description: New aftermarket replacement laptop battery. The specifications for this original battery are 10.8V, 5200mAh, 6 Cell. Compatible Part #'s: MU06, HSTNN-UBOX, HSTNN-CBOW, HSTNN-CBOX(U), HSTNN-DB0Q, MU06, HSTNN-Q60C, HSTNN-Q61C, HSTNN-Q62C, HSTNN-Q63C, HSTNN-Q64C, HSTNN-Q47C, HSTNN-Q48C, HSTNN-Q49C, HSTNN-Q50C, HSTNN-Q51C, HSTNN-I78C, HSTNN-QI79C, HSTNN-I81C, HSTNN-I83C, HSTNN-I84C, HSTNN-F01C, HSTNN-F02C, 593554-001, 586006-321, 586006-361, 586006-741, 586028-341, 588178-141, 588178-541. HP Pavilion DM4-1000, DM4T-1000, DV3-4000, DV5-2000, DV6-3000, DV7-4000, DV7t-4000, G7-1000, G7-2000.